David and I have been pushing for action on this situation. 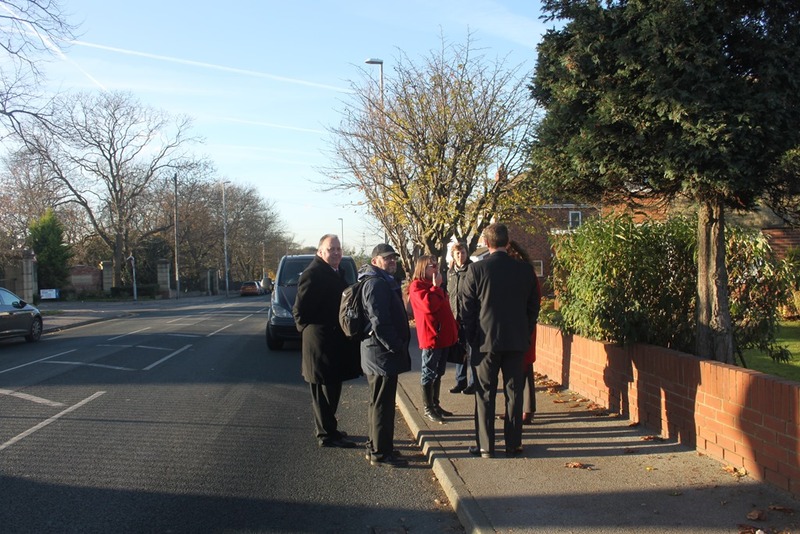 We earlier reported on our meeting with Cllr Richard Lewis, the executive board member responsible for highways and Gary Bartlett, the director of highways on site when we showed them the problems. We believe it’s wrong that Rothwell is having to shoulder so much parking from business parks and for travel into Leeds. We had also invited the business park manager from Valley Park, and so were disappointed when no-one from the business park attended. We kept on pushing for the business park to listen to residents and our travel plan officers and the notes below are from the meeting that was eventually held. I have also expressed concern that the notes have taken some time to come through to us from this meeting. 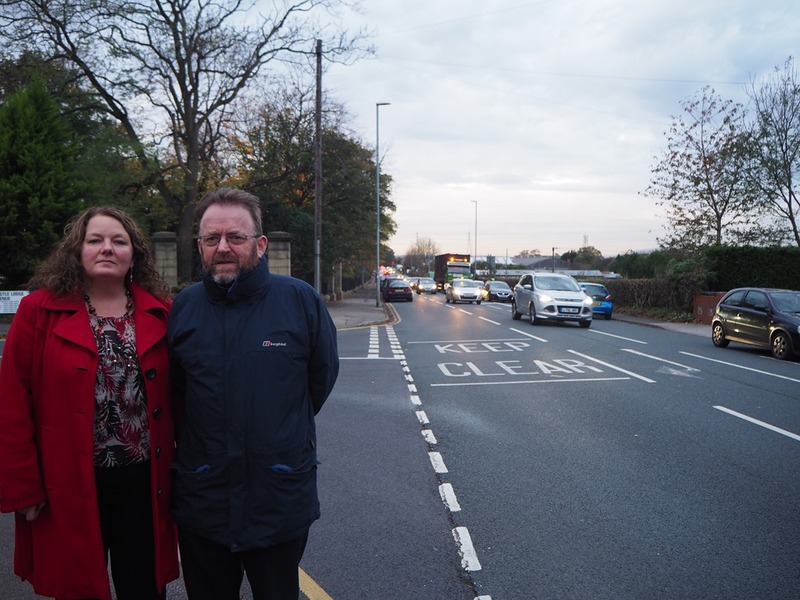 We believe that the Stourton park and ride site, which officers are already working on, could help with the situation and we’re hoping it will be ready as soon as next year, this could be one of the long term solutions. Highways have been working on a revised scheme which will be available shortly, this may include further parking restrictions to try to reduce or eliminate the stretch of double parking and markings at junctions. 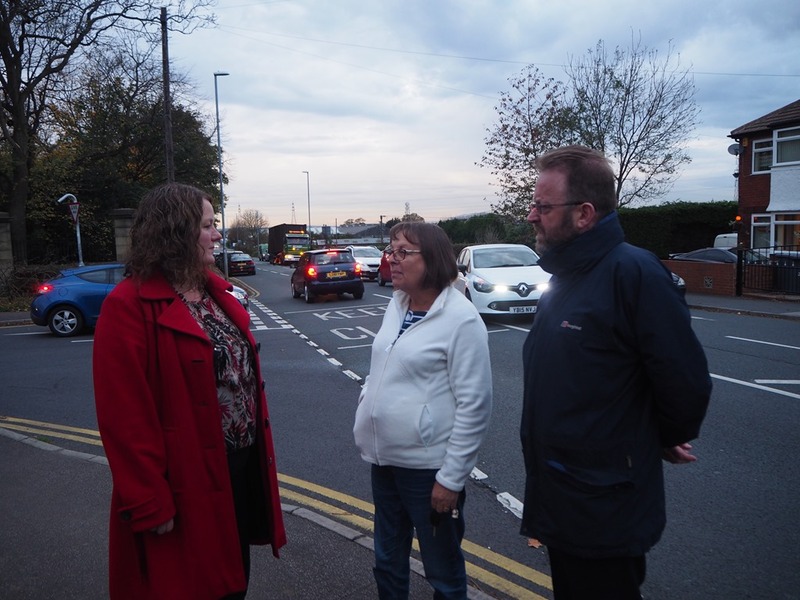 It is important though to try to get the balance right as we don’t want even more cars to then try to park on the streets off Wood Lane instead, but David and I feel that without more restrictions double parking will continue regardless of other measures taken. There are now also further problems with HGVs reverse turning into the St George’s estate entrance and the situation is getting out of hand and is just not good enough. The purpose of the meeting was to discuss the LVP Travel Plan, measures and progress, and associated parking issues. 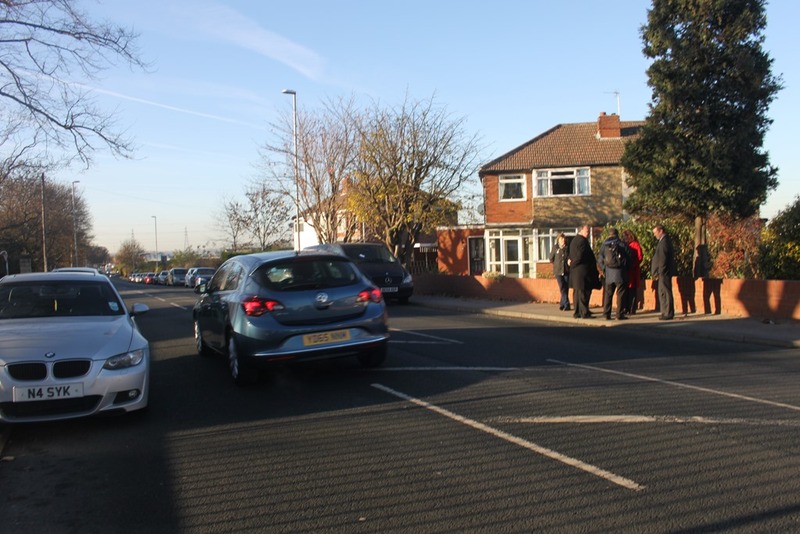 The attendees were all aware of the ongoing problems with reports of overspill parking into the residential areas off Wood Lane, Rothwell. A number of actions for each party were agreed at the meeting and these are summarised below. 1. As the principal park managers CBRE are responsible for coordinating the delivery of the LVP travel plan by working with the various occupiers. 2. CBRE will prepare and send LCC a LVP travel plan update with details of LVP occupiers, and describing the travel plan measures deployed by each. 3. CBRE will continue to investigate the proposal for an LVP shuttle bus service, including Arla if possible, and LCC to provide First Direct (Stourton) contact details in due course if appropriate. 4. CBRE agreed to encourage LVP occupiers to complete the WY Travel Plan Network survey on an annual basis, starting with the 2017 survey in a few weeks. LCC will invite LVP occupiers directly, to complete the WY annual travel survey. 5. CBRE to contact Caddick Estates to investigate the possibility of providing a temporary car park on adjacent Caddick Estates land. 6. CBRE to provide a list of LVP occupiers, which buildings they occupy, number of staff, number of parking spaces allocated, and occupier travel plan coordinator contact details. This list was partially completed at the meeting, but has unfortunately been misplaced at present. 7. As LVP travel plan coordinators, CBRE will reform the ‘LVP Travel Plan Forum’ inviting all occupiers and the Council to attend meetings. 1. Capita expressed their willingness to work with LCC on travel issues to ensure they are accepted as good neighbours. 2. Capita agreed to send LCC a travel plan update with details of the measures being implemented and their success. 3. Capita agreed to complete the 2017 WY travel survey (and consider completing the longer staff travel survey to get additional information). LCC will send details of both survey options to Ricky in the first instance. Sent 22/02/17. 4. Capita agreed to check their Liftshare database to ensure registered budi groups are true car sharers (live in the same area, and not just picking up people for the last mile to LVP). 5. Capita will provide details of how their LVP parking spaces are allocated. 6. Re White Rose Office Park (briefly discussed) Capita confirmed they are promoting their national Lift share scheme, and will provide data on this. 1. LCC will review the travel plan updates received for LVP and provide further advice as necessary. 2. LCC will send Capita details of the travel plan Planning obligations for the LVP site (sent 15th Feb, CBRE copied in). 3. LCC will send details of the two travel survey options to Capita, and invite (in March) all occupiers to complete the annual travel survey as appropriate. Web links sent 22/02/17. 5. Attend a LVP Travel Forum meetings. Following the meeting, the above points were emailed to CBRE and Capita. These actions were to be chased up by the end of March. However, just as the notes took too long to come through, we haven’t yet had a progress update. David and I are hoping to have the new plans with options from Highways very soon, we are told they are on their way to us. Me and my fellow Rothwell ward Labour councillor colleague David Nagle organised a drop in session for Woodlesford and Oulton residents so they could tell us about their concerns over HS2 prior to the deadline for submissions. Many residents had already told us their views either by coming to our surgeries, emailing us, phoning us, using social media or by talking to us at community events. It was useful to have our drop-in session on HS2 which gave residents another chance to tell us what they think. There was a good turnout of local people and good to chat with many people about the issues concerning them. We would like to thank SoWhat, the local campaign group for the work they have done to campaign on this issue, keep up the good work. Residents are worried, there are many questions which HS2 aren’t answering and people are stuck in limbo. We have made clear that we as local Labour councillors cannot support HS2 unless the huge blight on Woodlesford and Oulton is lifted. In our submission to HS2 to its latest consultation, we have strongly objected to the revised route. We have held a drop in session in Woodlesford where residents could come and talk to us about their concerns over the HS2 revised route coming through our community. The following is a summary of concerns expressed by very worried and anxious residents who want answers and are getting far too few. We strongly object to the revised route including two tunnels and viaducts tearing through the villages of Oulton and Woodlesford and causing untold blight on many more residents in the heart of the villages than the original route, although most of those previously impacted will still also feel the blight. This is not acceptable for our communities. Whilst ever the route proposes a blight on the villages we represent, namely Oulton and Woodlesford, then we cannot support HS2. From the time the original HS2 route plan was announced in 2012, the communities of Woodlesford and Oulton which we represent, have been blighted, the ability to sell homes impacted and prices falling. The changes announced recently by HS2 to the route in November 2016 has seen the viaduct along the canal side replaced by two tunnels travelling through the heart of our villages and the proposed main line viaduct has got higher and longer. Those previously the most impacted remain affected and now many more residents are impacted as HS2 engulfs the whole of Woodlesford and Oulton. The area is riddled with old mine shafts and workings and there is therefore the real concern about subsidence and slip. Residents are worried about possible noise and vibration from the train both under and over ground. We are concerned with the vibration and noise especially near to the exit of the tunnels, and this (together with noise as the train eventually passes) is of major concern to residents living in the houses around Eshald Lane, Bernard Street and Fleet Lane areas closest to the tunnel entrance. It is a fact that the faster the train, the louder the sound and vibrations. Impacts on residents’ health and wellbeing – We are very concerned as local elected representatives that the negative impacts could affect the whole community in its health and well being. Impact on and possible loss of vital local businesses to the community functioning as healthy and happy places and job losses. Health issues including mental health issues can arise out of people living with worry and fear as well as any actual impact on physical health from air pollution, dust and what might be disturbed from tunnelling on an old landfill site and old mines, where there is believed to be raw asbestos rocks. Concerns about the pocket of radon gas known to be present under Woodlesford Primary school and in the area. We do not want local children or residents at risk. Increased traffic concerns – we already have many traffic, congestion and road safety concerns in our villages and it is unimaginable that the amount of spoil from tunnel excavation will equate to some 14,000 extra trucks on our roads. Landscape and visual impact We feel that the cutting to enter the tunnel entrance at Water Haigh Woodland Park, and the tunnel entrance itself is planned to be unacceptably close to here. Visually this is intrusive and the make-up of the landscape makes this unsuitable.. We feel that another route for the tunnel is found away from the residential area, and that limits the damage to public green space, or at the very least the tunnel entrance entering Woodlesford is moved all the way back to the M62. We are concerned that the proposed entrance to the tunnel going under Woodlesford will have a significant impact on access during construction as both Eshald Lane, and Fleet Lane will need to be closed and new bridges constructed over the cutting. 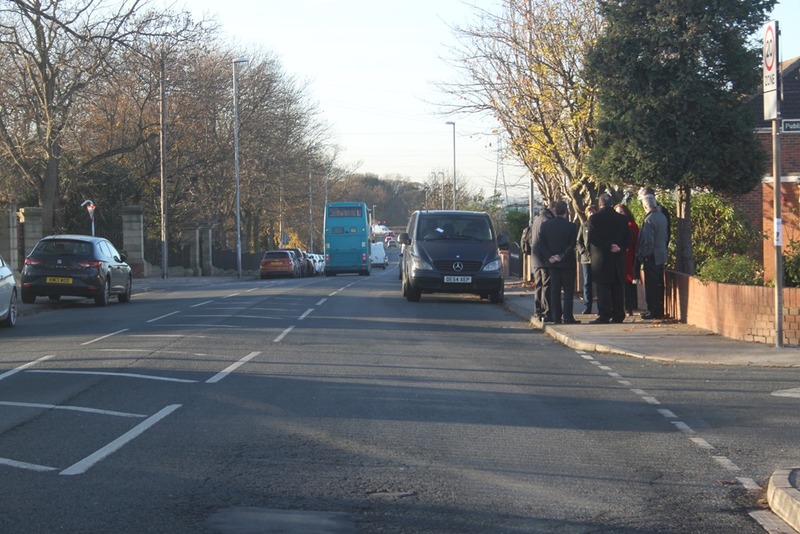 Aberford Road is already at, or over maximum capacity and gridlocks easily. Further loading would have devastating effects to the community and infrastructure. There is only one road through Woodlesford, and this doesn’t seem to have been thought about. Community spaces and wildlife – – Local residents regularly use all of the the green space within Woodlesford, and Oulton and surrounding areas. Residents stay healthy through dog walks, cycling, Walking/rambling, playing with children and vital exercise for the elderly, Running and sports. Residents are worried about losing valuable open and green spaces, which have had a lot of thought, effort and funds spent to make our green spaces joined up. Residents fear the decimation of these green space due to HS2 coming right through communities and green spaces. Closure of Woodlesford Train Station – untold disruption and loss of amenity for residents as Woodlesford train services could be suspended for up to two years. Construction – enduring construction for around 6 years would be too much for our villages, if the route was moved away from villages, from communities and densely populated areas, this would be hugely mitigated. A temporary village is planned to house 1000 workers. Residents also have concerns over the impacts of possible ventilation shafts and emergency exit workings along the route of the tunnels during construction and afterwards. The blight on these villages from this huge engineering project cutting straight through them is too much for these quiet villages to take. We strongly believe that HS2 should be re-routed away from whole villages to cause the minimum amount of impact. There are many people worried and impacted, were the route to be taken away from our villages, far fewer people would be impacted. As the plans stand, we cannot support HS2, unless the huge blight on Oulton and Woodlesford is lifted. We request that HS2 Ltd moves its route away from our densely populated, happy and peaceful communities. We still believe a more direct tunnelled route , or a route largely following the existing transport corridors would be cost neutral in comparison to the complex viaduct and tunnel construction now proposed.